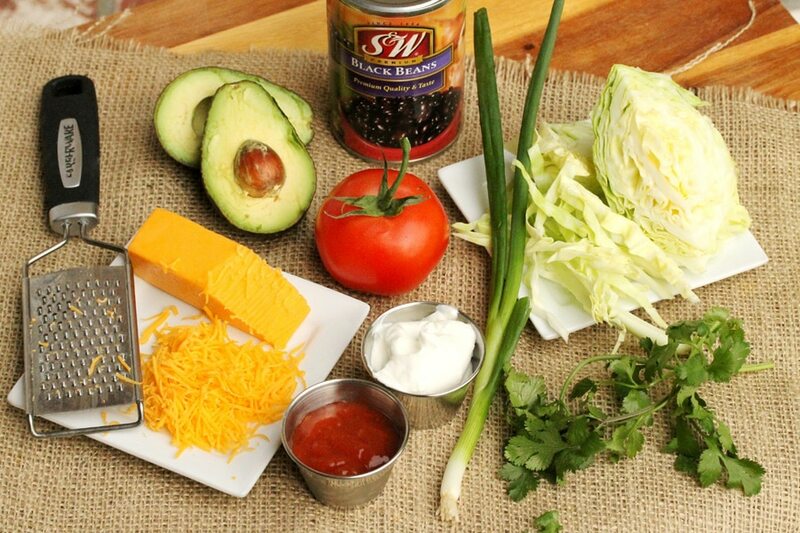 One of the things I like to always have on hand in my pantry are cans of black beans. When they’re on sale it’s a great time to stock up……and super great when they’re on sale AND coupons are available for use at the same time. 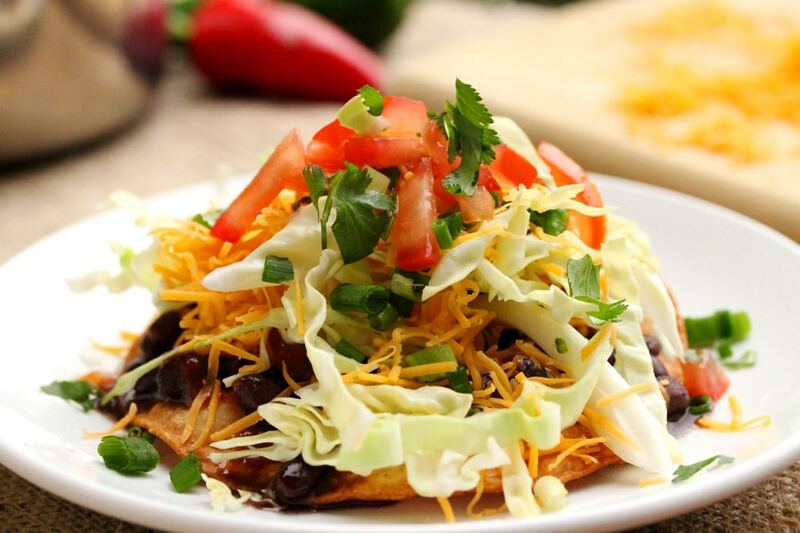 This tostada recipe is a quick and easy meal….and sooo delish. 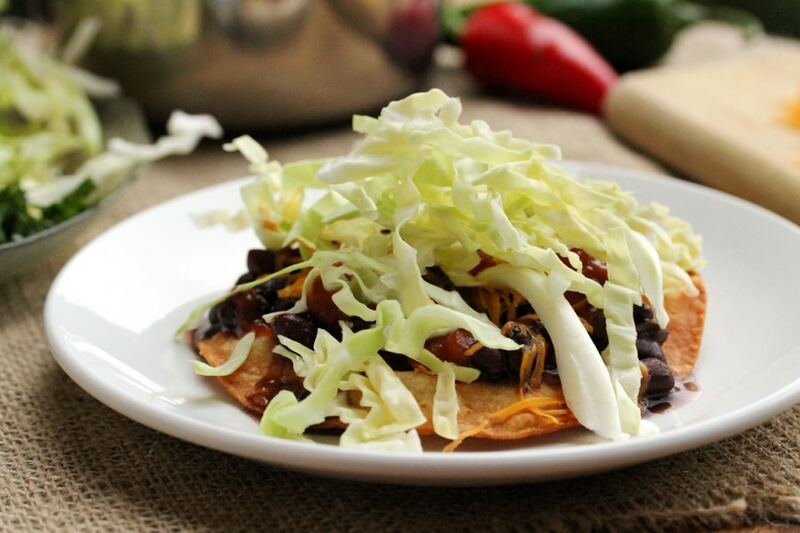 Although this recipe is meatless, these tostadas would be super tasty with chicken, ground beef, or shredded beef if you prefer. 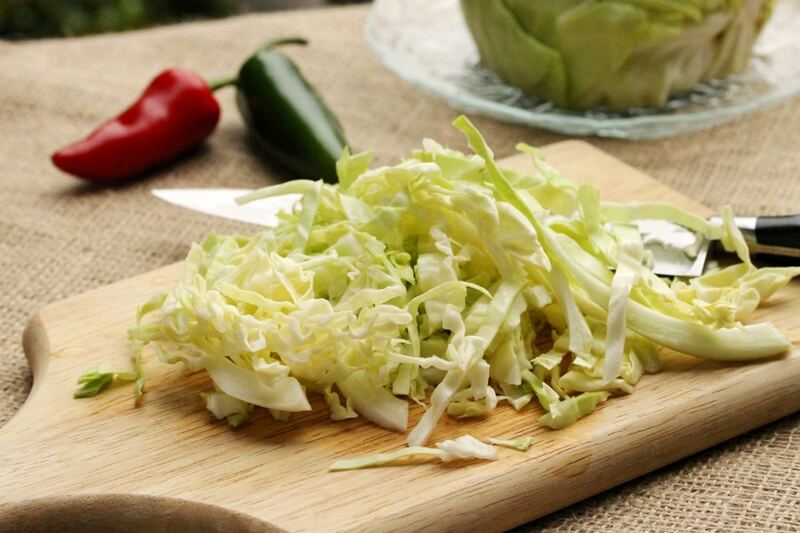 Also, feel free to use shredded lettuce instead of cabbage. 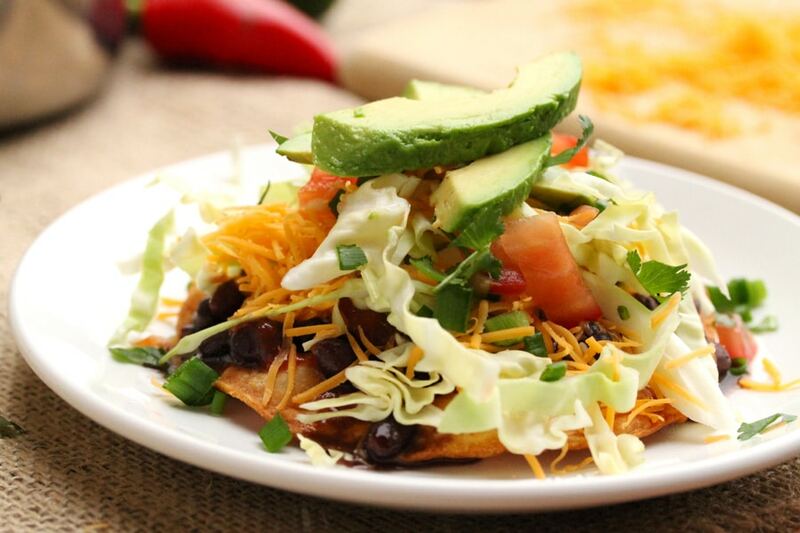 For fun, you can make a “Tostada Bar” and let each person build their own! 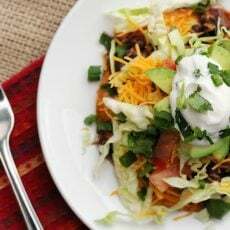 (Here are some other quick and easy meals using black beans “Ground Turkey and Black Bean Chili” and “Black Beans and Lime Spicy Chicken“). 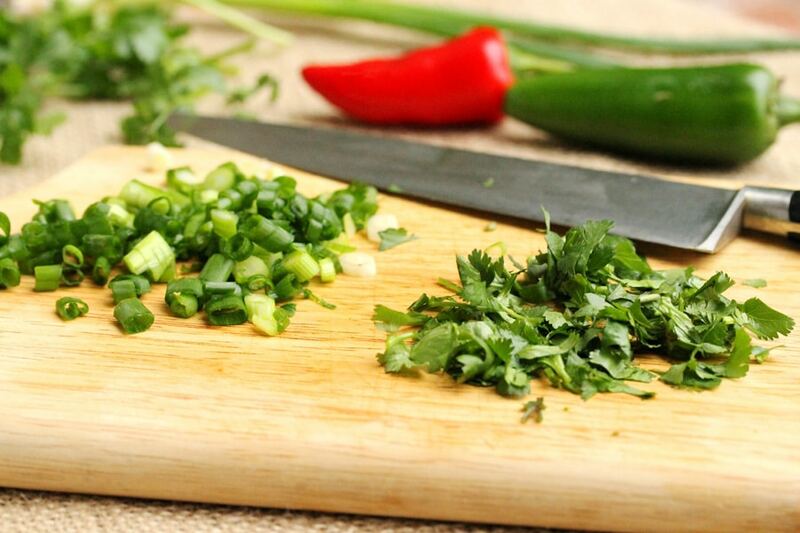 Chop the onions (including the green sections), and the cilantro. 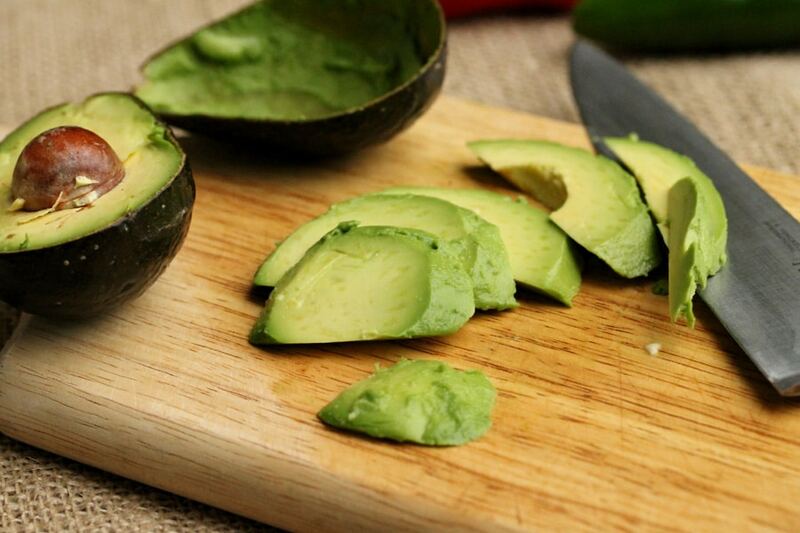 Cut the avocado in half and scoop out each half with a spoon. Then cut in lengthwise slices. 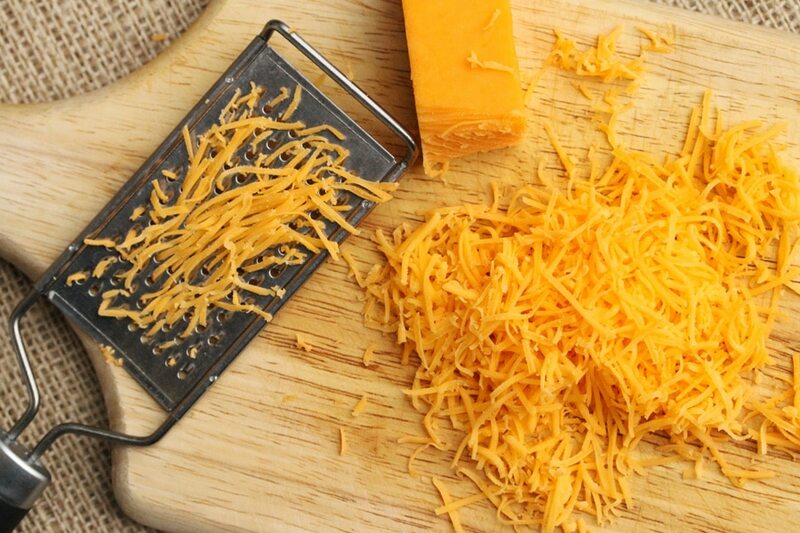 Next, shred the cheese (or an easier option is to buy it pre-shredded). 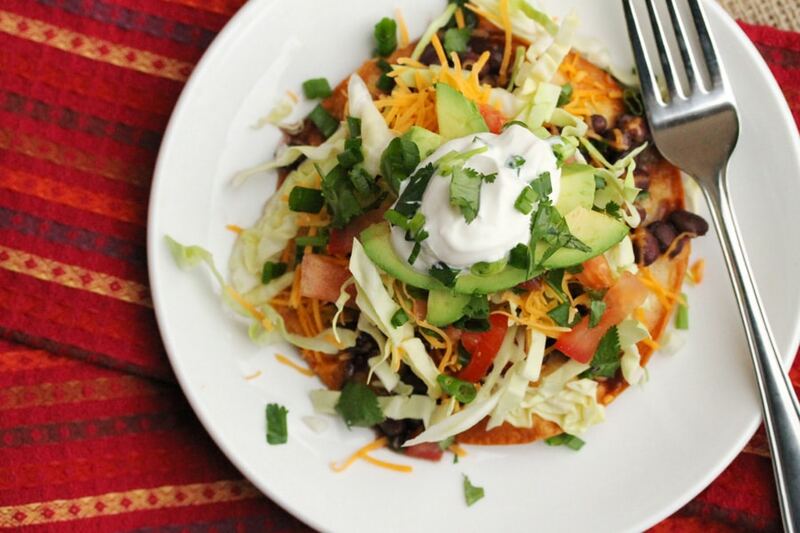 Set aside each of the toppings (including the salsa and sour cream). 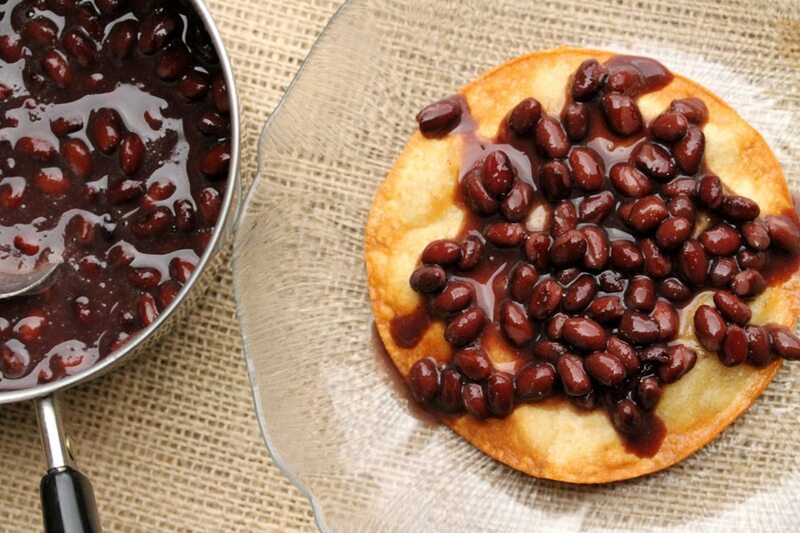 Warm the beans in a small pan. Add the cumin, onion powder, and pepper. Stir together. 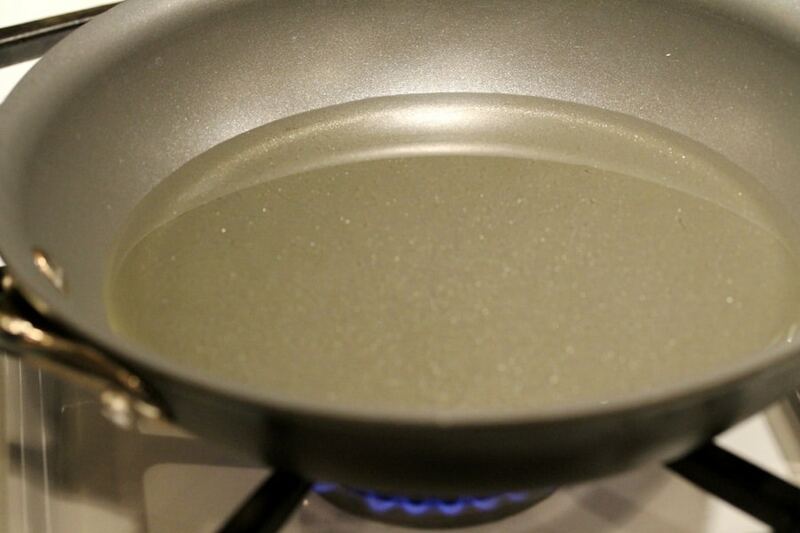 In a small skillet, heat the oil on medium heat. 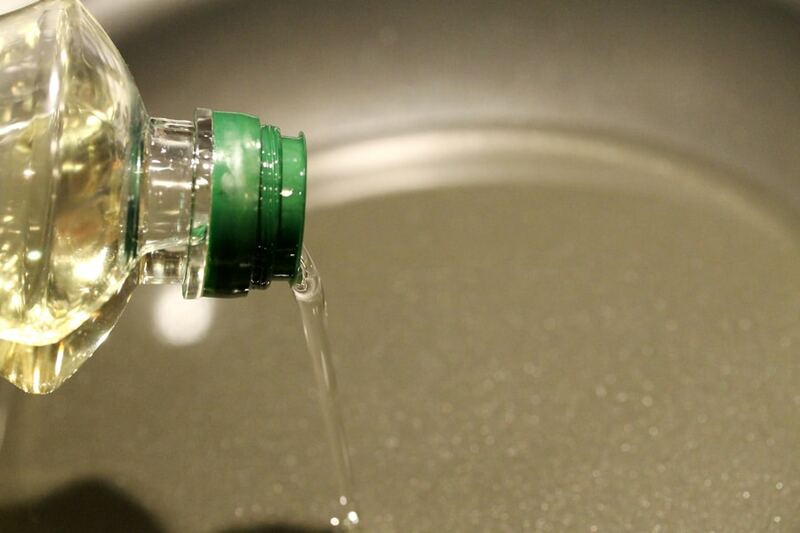 The amount of oil to use may vary depending on the size of your skillet. 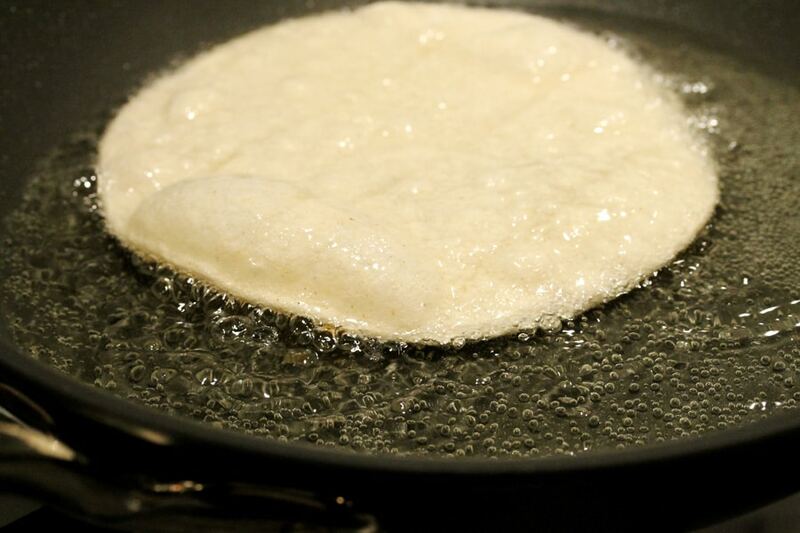 The oil should be about 1/2 inch from the bottom of the skillet. 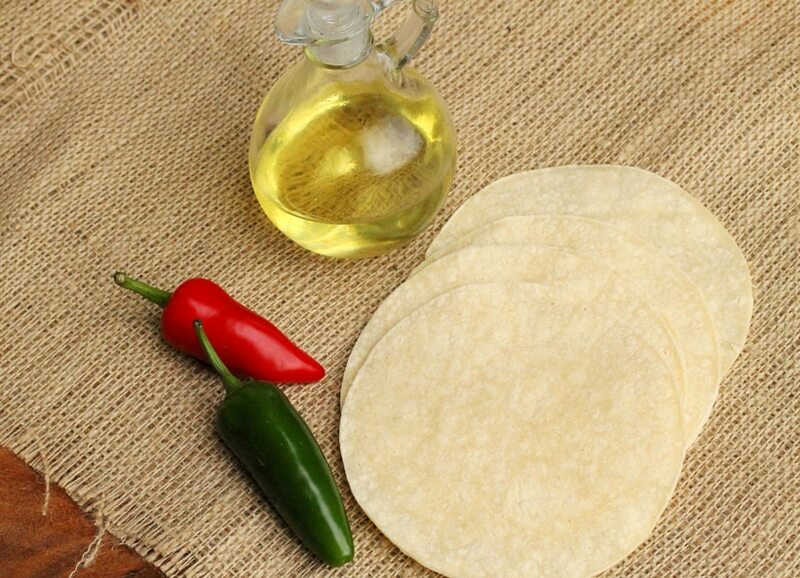 Add one tortilla to the oil. 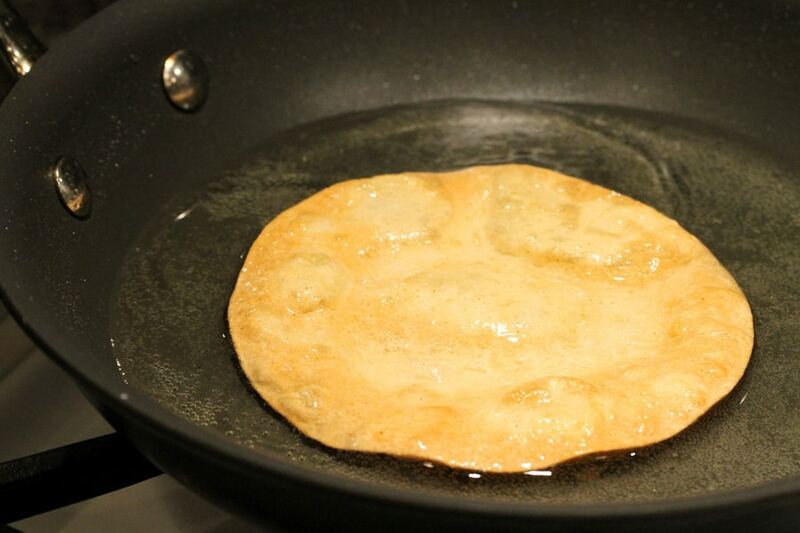 Cook the tortilla until each side is a light golden color. Then repeat for each of the remaining tortillas, one at a time. 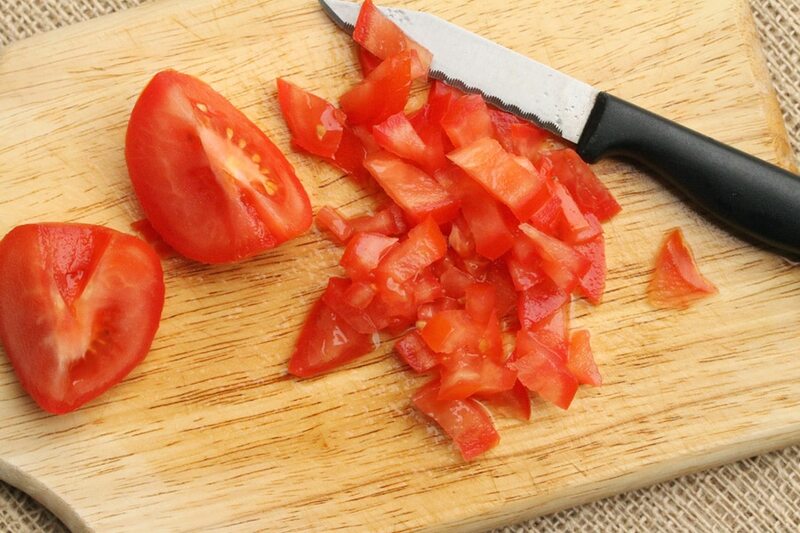 Lay the tortillas on a paper towel to drain off the excess oil. 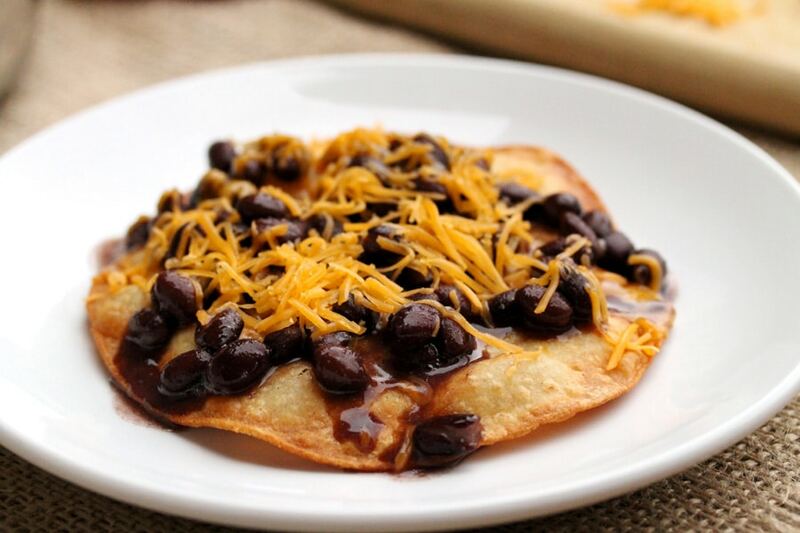 Add about 2 tablespoons of beans on top of each tortilla shell. Try to spoon out just the beans, not the juice. An option is to drain the beans or use a slotted spoon. 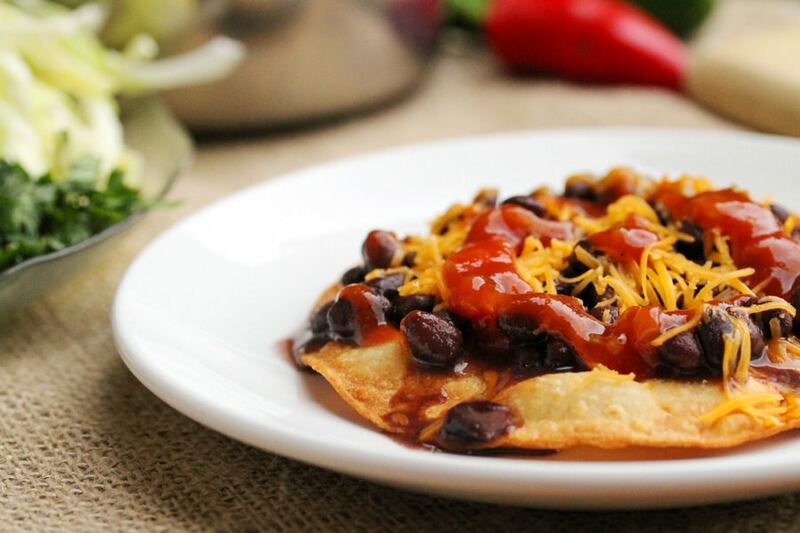 Some juice on the tortilla is just fine. Then top the warm beans with some of the cheese. 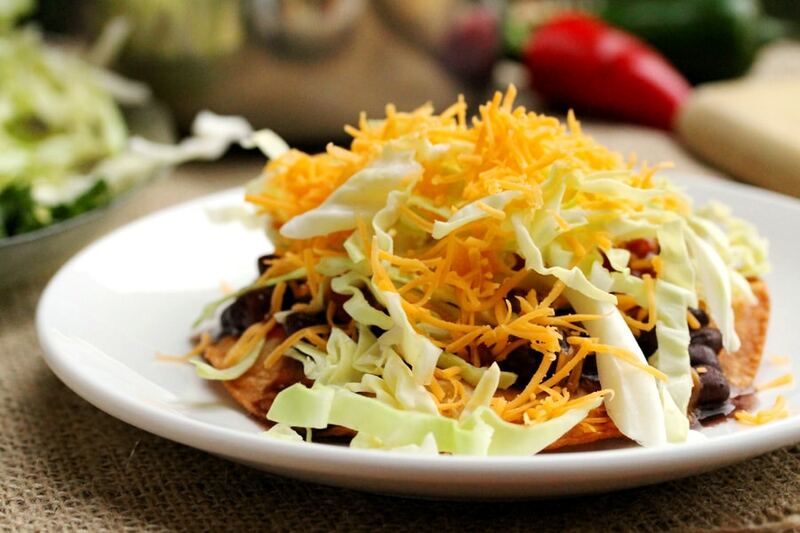 Then add the shredded cabbage…..
Next add the green onions…..
…….a couple of slices of avocado…..
…and lastly, top with a dollop of sour cream. 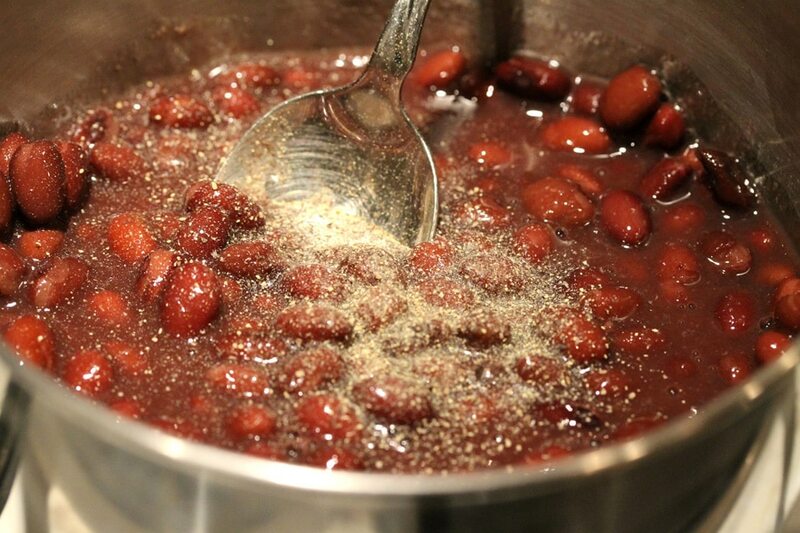 For the Beans - heat a small sauce pan on low heat and add the beans, cumin, onion powder, and pepper. Stir together. Add one tortilla to the oil. 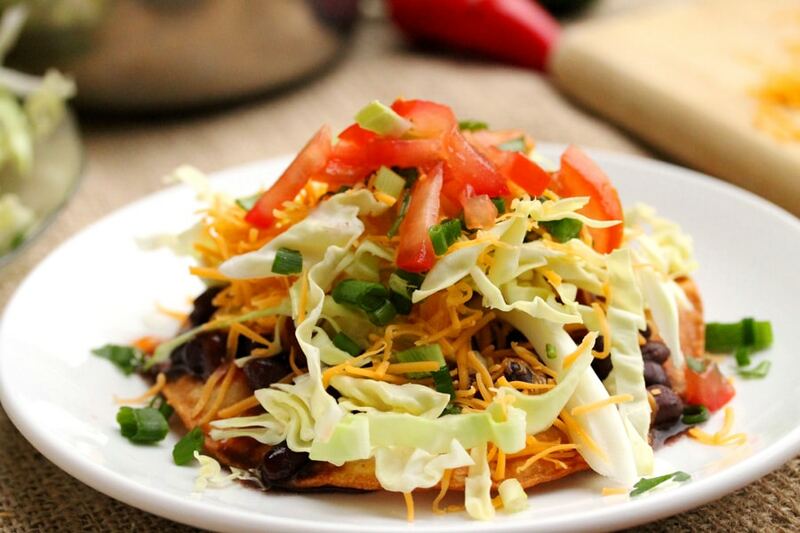 Cook the tortilla until each side is a light golden color. 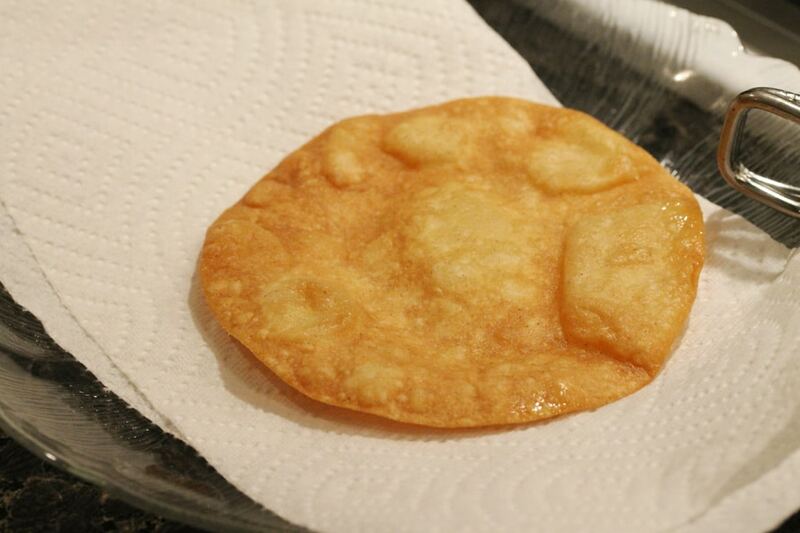 Transfer the tortilla onto a paper towel-lined plate. Then repeat the process for each of the remaining tortillas, one at a time. 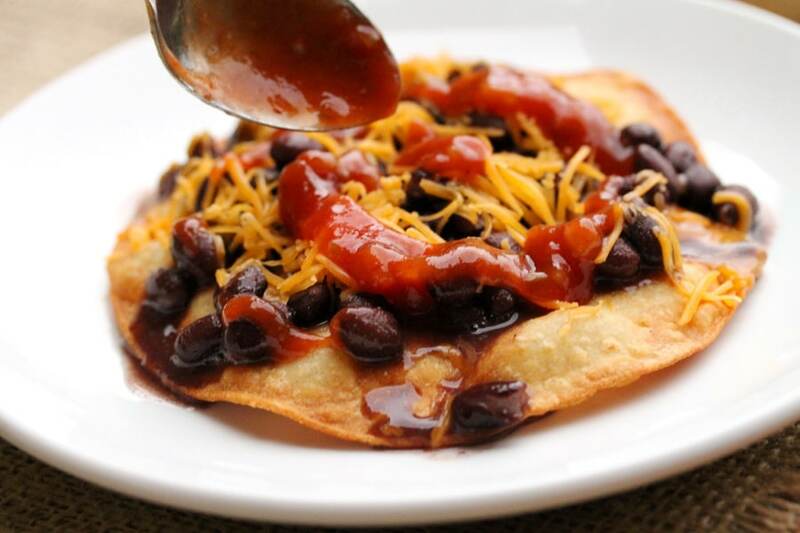 On the top of each crispy corn tortilla, using a slotted spoon, add about 2 tablespoons of beans. 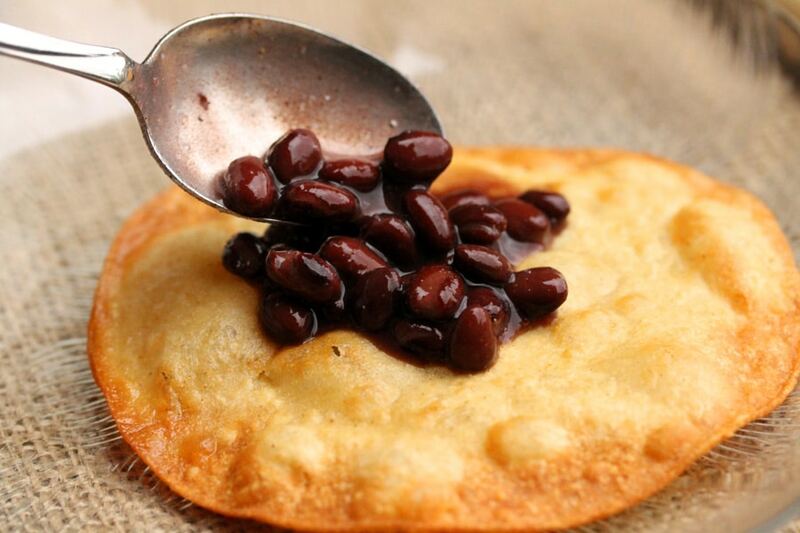 Try to spoon out just the beans, not the juice. 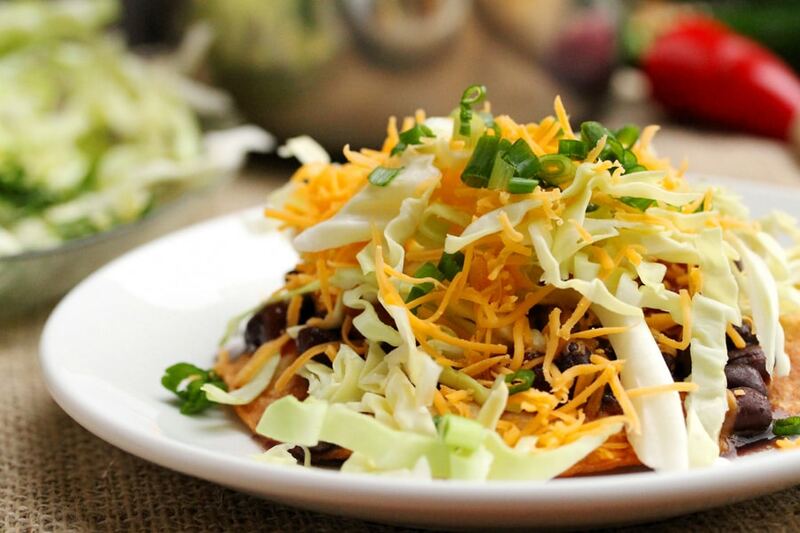 Then top the warm beans with shredded cheese, salsa, shredded cabbage, more shredded cheese, green onion, tomatoes, cilantro and a couple slices of avocado. 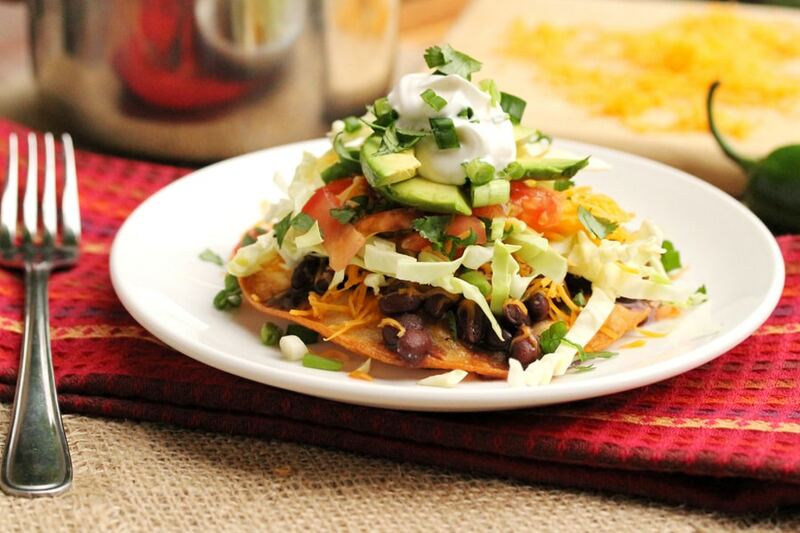 Top with a dollop of sour cream and serve. 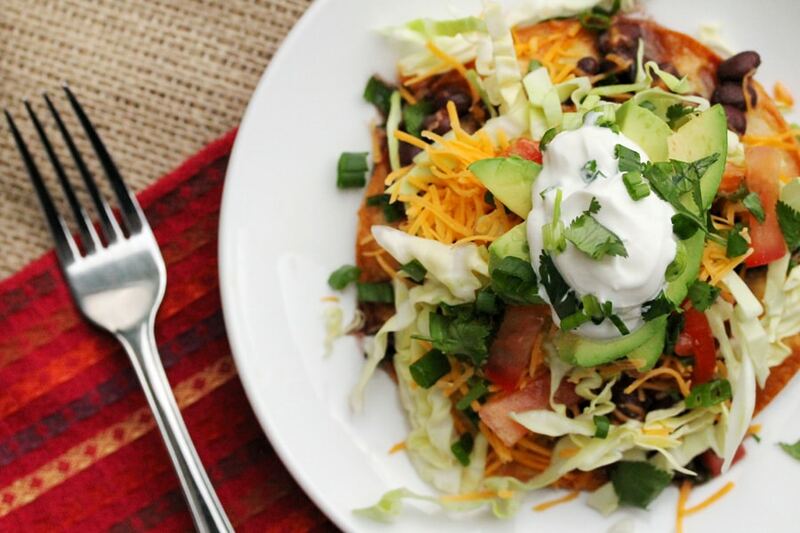 Hi There, I like to use lettuce too…I think I was feeling guilty for eating so many sweets lately so I put more veggie power in this recipe!! Have a great day. 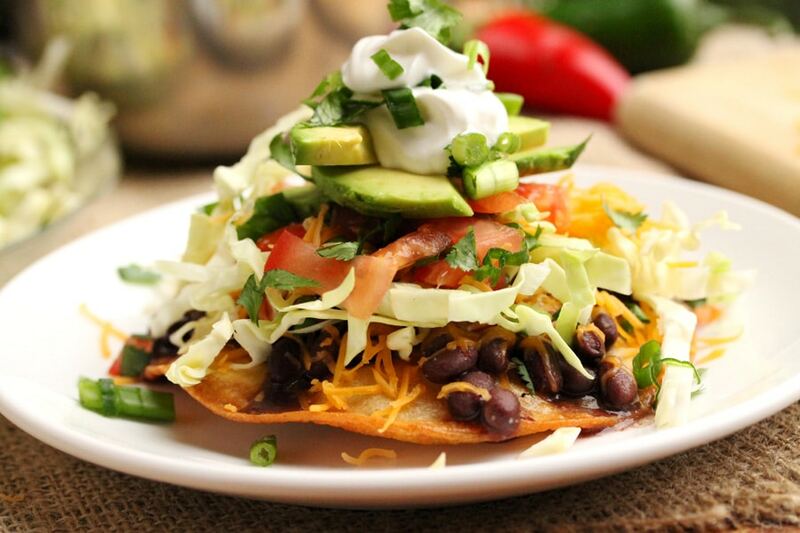 If I had to choose one kind of bean, it would definitely be black beans. 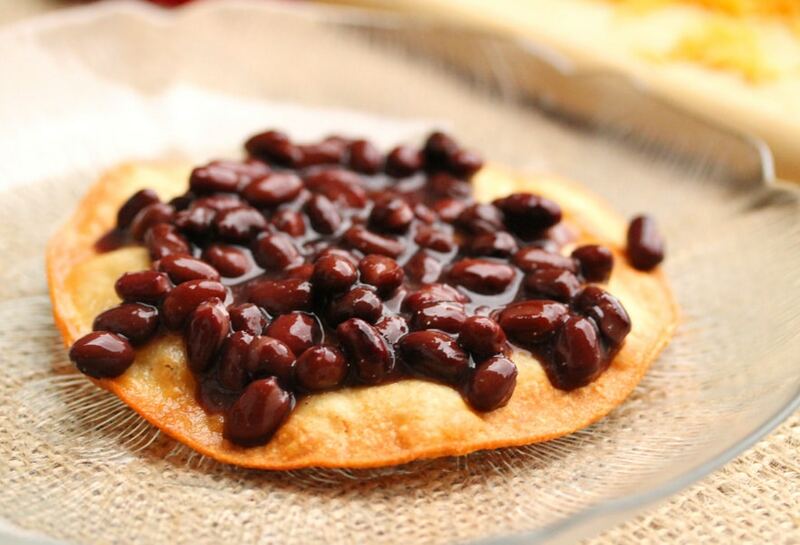 While a lot of tostadas have the refried beans as a base layer, I sometimes wish that restaurants used more black beans than the refried beans. I definitely would enjoy these-your pictures really do entice. Great post!